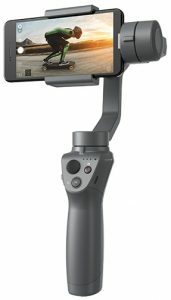 Las Vegas, NV—DJI unveiled two handheld camera stabilizers at CES 2018, LVCC South Hall 2, booth # 26002—the Osmo Mobile 2 and Ronin-S. Built for DSLRs and mirrorless camera systems, as well as smartphones, they give consumers, pro videographers and photographers new tools to capture steady videos and photos. 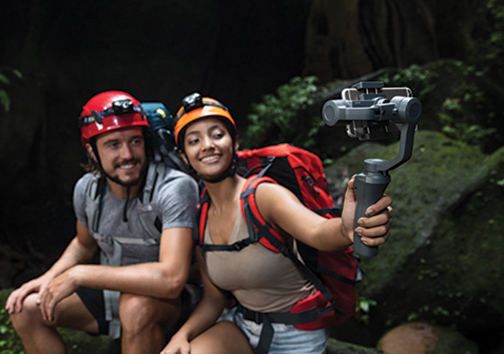 “With the introduction of these two stabilizers, DJI now offers gimbal technology to help unlock the creative storyteller in everyone no matter what camera they’re using,” said Paul Pan, senior product manager at DJI. The Ronin-S is DJI’s first single-handed stabilizer for DSLR and mirrorless camera systems. Available in two frame sizes for either format, it features DJI’s three-axis gimbal technology, developed to deliver shake-free video and photos. High-torque motors support popular camera and lens combinations, including the Canon 5D, Panasonic GH and Sony Alpha systems. 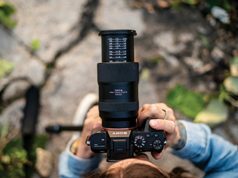 The stabilization system on the Ronin-S compensates for zoom lenses with higher magnification ratios and an external zooming barrel. Moreover, its stabilization algorithms work with both in-camera and in-lens optical stabilization technology. The Ronin-S was also designed for easy setup and use. 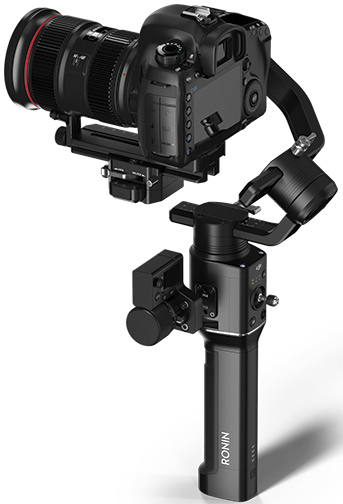 A new push mode enables users to adjust the pan and tilt axis by hand while the Ronin-S is powered on. In addition, axis locks speed up setup so users spend more time filming and less time prepping gear. Furthermore, DJI says the stabilizer “has a comfortable, ergonomic curved design that helps capture smooth cinematic movements from upright to underslung positions without obstructing the camera’s display.” Ronin-S also employs DJI’s intelligent battery technology that can be hot-swapped during operation for extended shoots. Moreover, dedicated control buttons for the camera and gimbal let users toggle between SmoothTrack settings as well as record and stop the camera. In addition, the joystick changes the camera position to help frame the shot. Also, sport mode permits fast movements with tight and quick subject-following speed. Additionally, users can harness intelligent shooting modes on the Ronin-S through the DJI Ronin mobile app. This permits them to create complex camera moves automatically, such as panorama, hyperlapse, track and cam-anchor. As a result, users can designate specific camera positions in a scene and rotate between them. They can also customize SmoothTrack technology settings with dedicated controls for responsiveness of each axis. Camera settings also can be directly adjusted. The Ronin-S is compatible with a variety of DJI Pro accessories, such as a focus control center consisting of a focusing dial and a screen. This enables advanced gimbal and focus control without a mobile device. The stabilizer also works with: a vehicle mount solution, DJI Master Force, DJI Master Wheels, an external focus motor and a plate adapter that connects third-party accessories. A dual-handle support will also be available to provide an added level of comfort and stability when required. The handheld smartphone camera stabilizer from DJI was reengineered. It now offers a lightweight design that supports portrait orientation. 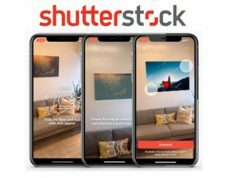 It also has simpler controls with cinematic zoom, a longer battery life and intelligent features to help users share pro-looking stories. It utilizes DJI’s three-axis gimbal technology, which cancels out movement in three directions so video stays steady even if the user’s hands shake or wobble. Moreover, DJI’s built-in SmoothTrack technology detects and compensates for movement of the camera to help ensure a smooth cinematic shot. Lightweight and portable, Osmo Mobile 2 is made from high-strength modified nylon and features a folding design. The two-way mobile clamp lets users pivot between landscape and portrait orientation. In addition, a ¼-inch universal screw mount ensures compatibility with favorite photography accessories. 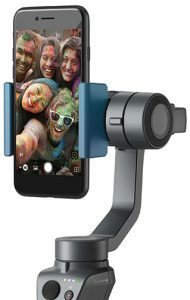 Furthermore, the stabilizer’s simpler controls allow phoneographers to use their phone’s camera like a digital camera. It provides integrated settings for ISO as well as shutter speed. Also, a new zoom slider permits completely operation of the smartphone camera from the handle. Users can even produce a dolly zoom visual effect. Also provided is a more powerful built-in battery system for filming up to 15 hours. This is more than three times longer than the original Osmo Mobile’s battery. And a new USB port enables phone charging during use. It also serves as a power bank for charging other electronics on the go. Furthermore, smart software in the DJI GO mobile app unlocks intelligent photo and video features. These features help users create pro-looking content automatically. Videographers can select ActiveTrack to automatically follow subjects in motion or motion time-lapse mode with five different camera positions. Plus in hyperlapse mode, they can create time-lapse videos with the camera in motion. They can also stream live to social platforms like Facebook and YouTube. Photographers can also expand their creativity with panorama, long exposure and light-trail modes. The Ronin-S DSLR/mirrorless camera stabilizer will be available in the second quarter of 2018. Pricing will be announced prior to availability.